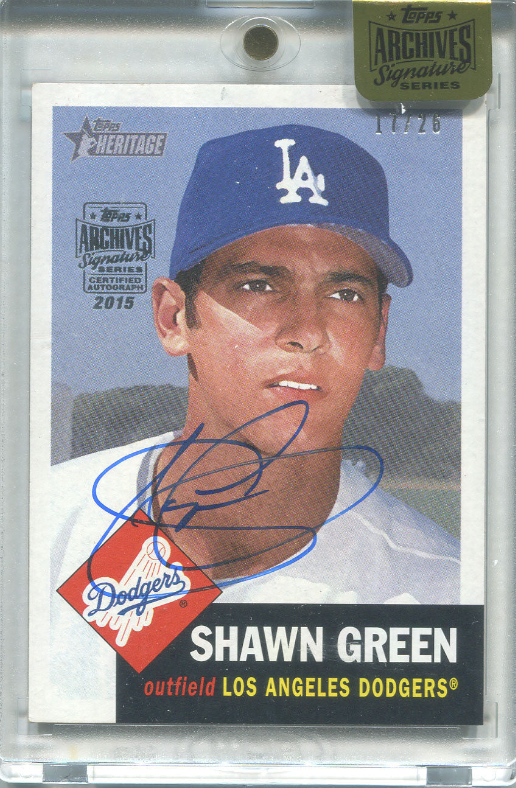 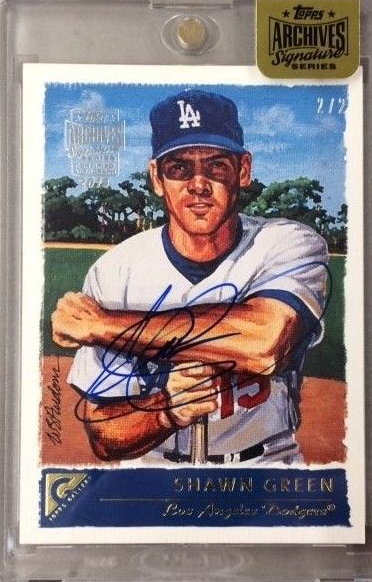 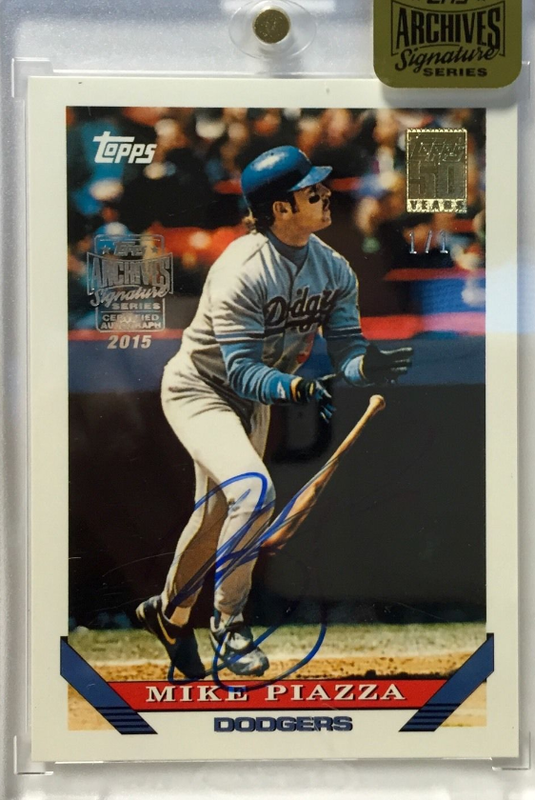 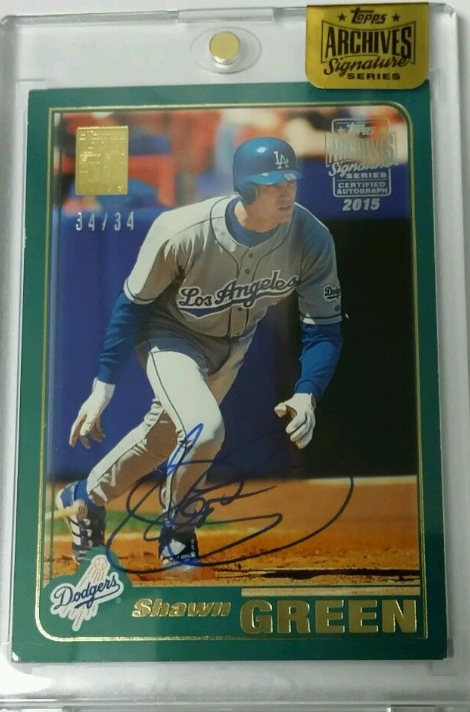 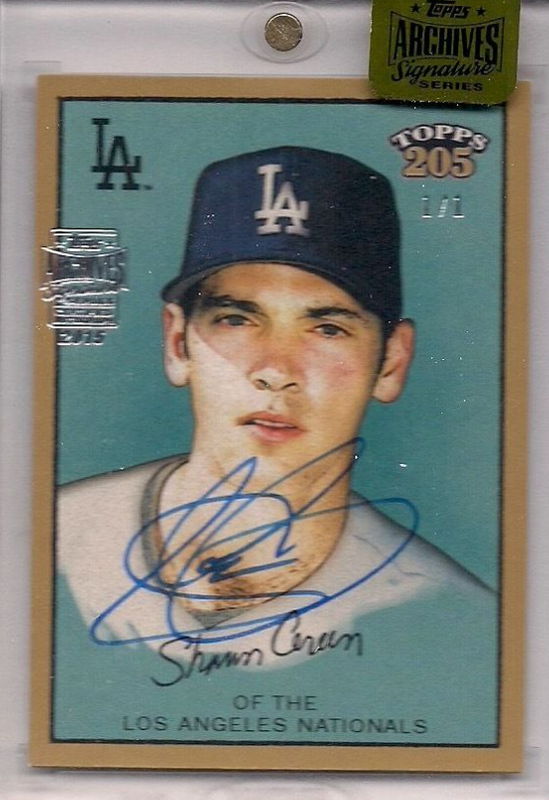 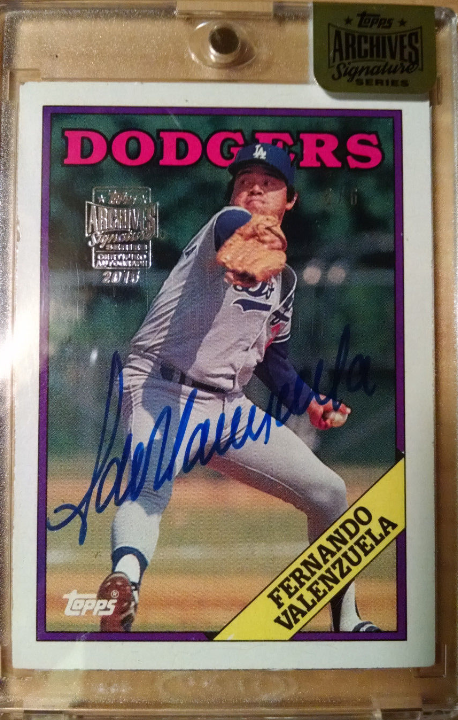 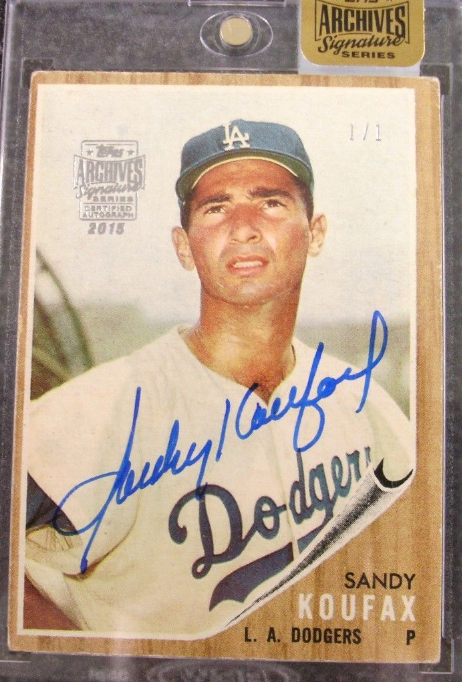 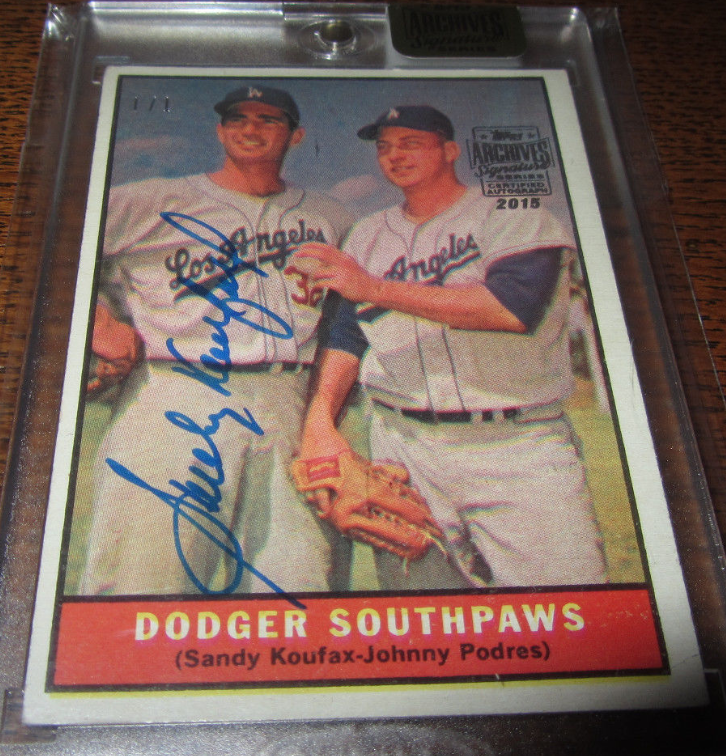 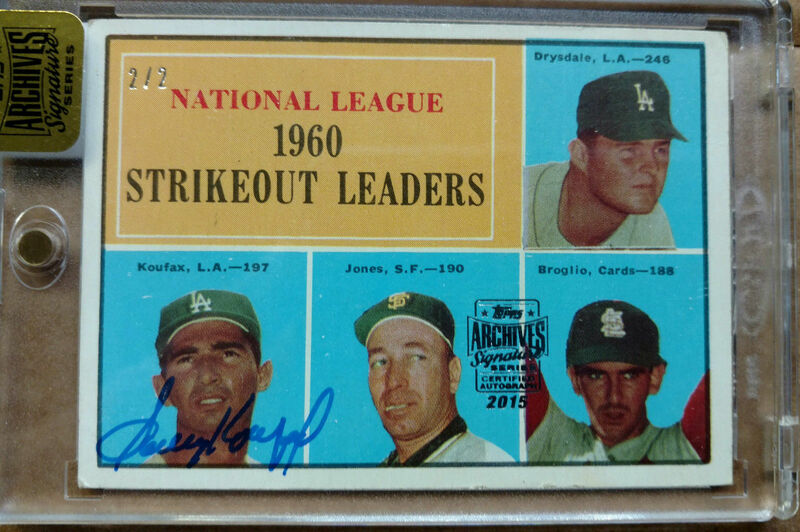 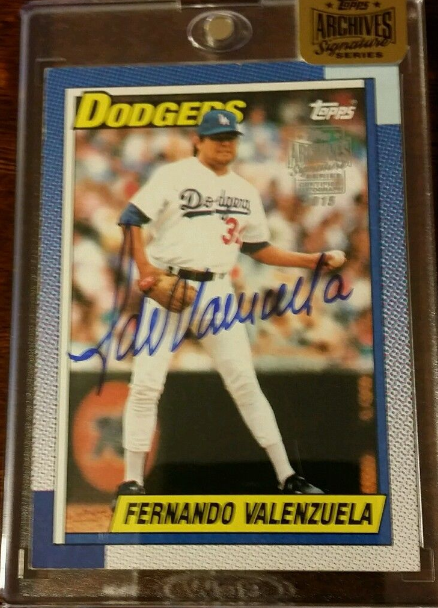 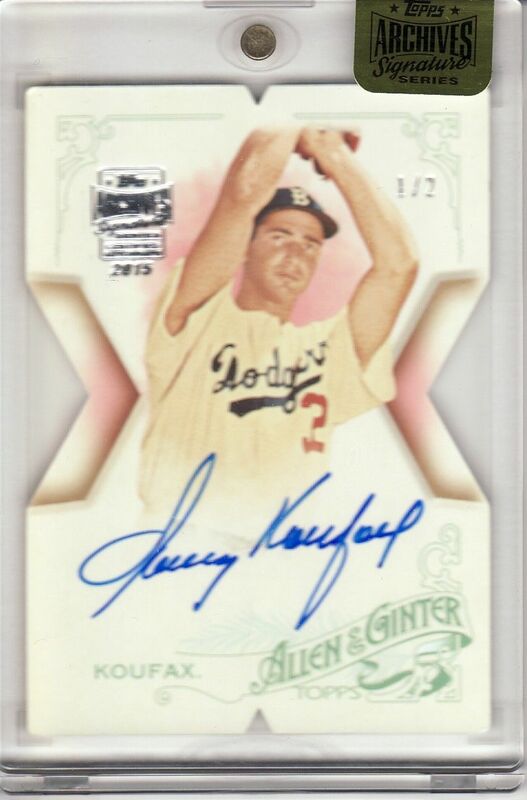 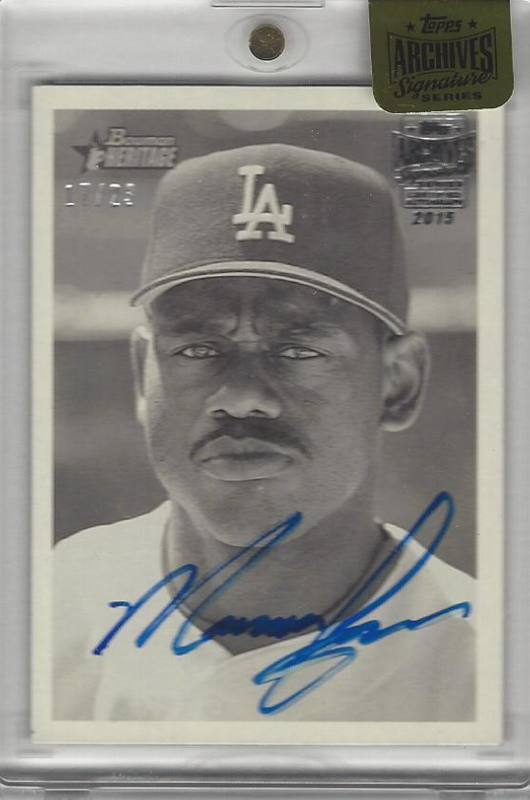 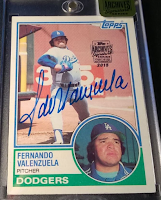 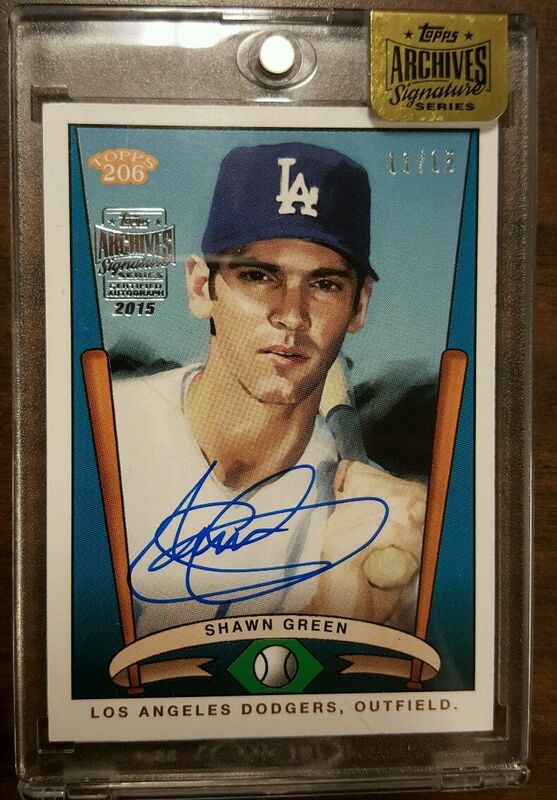 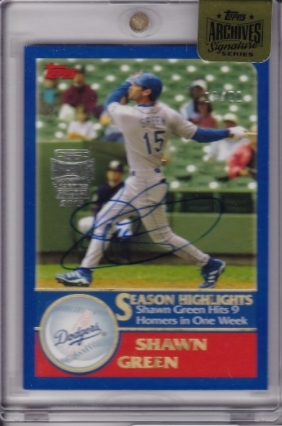 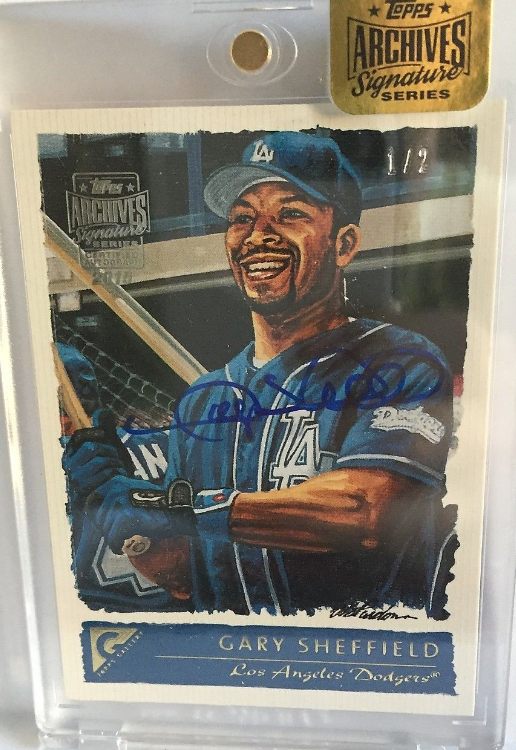 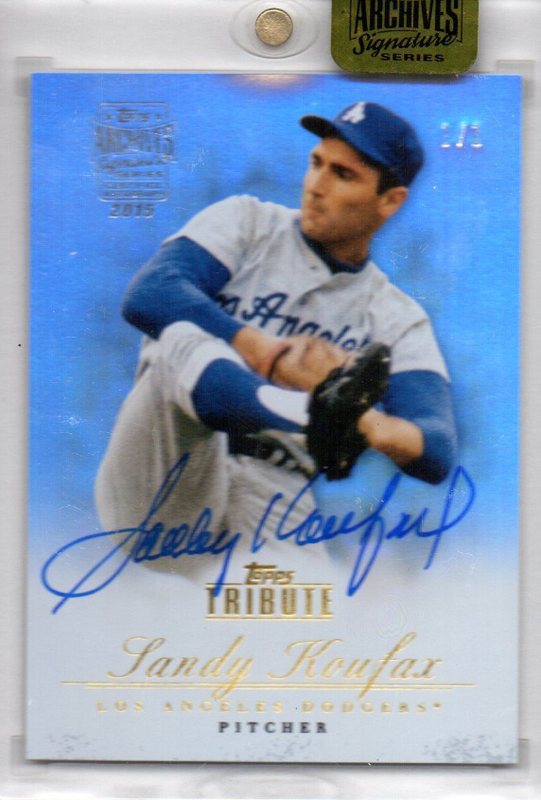 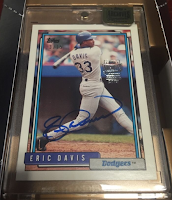 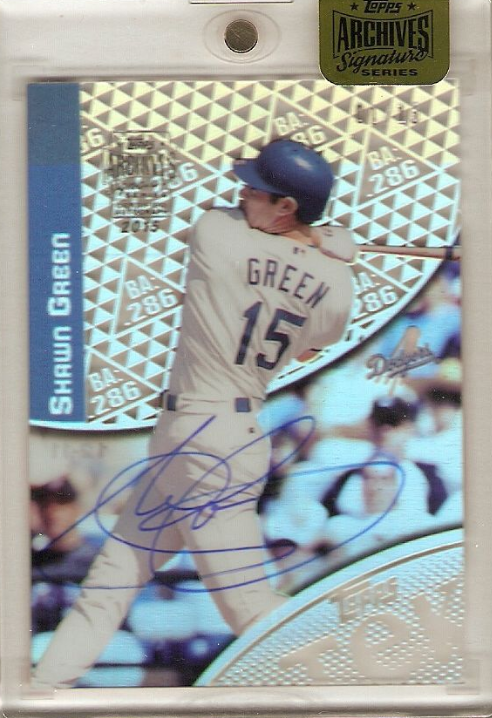 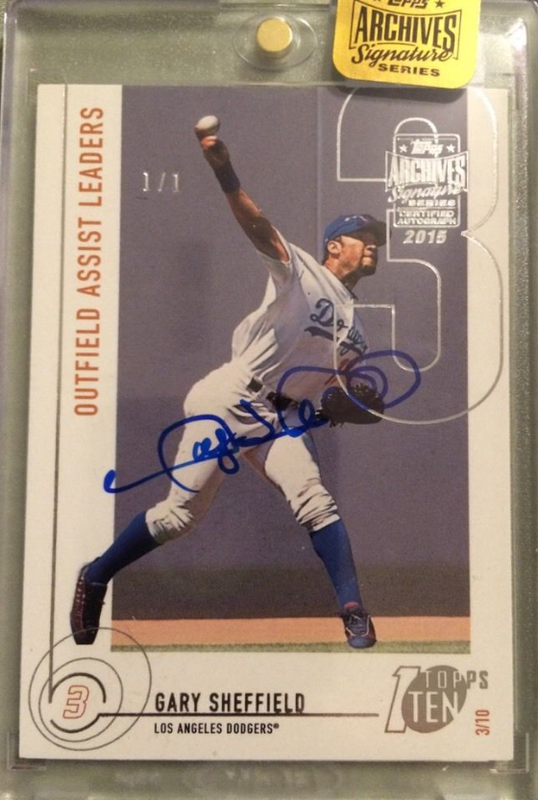 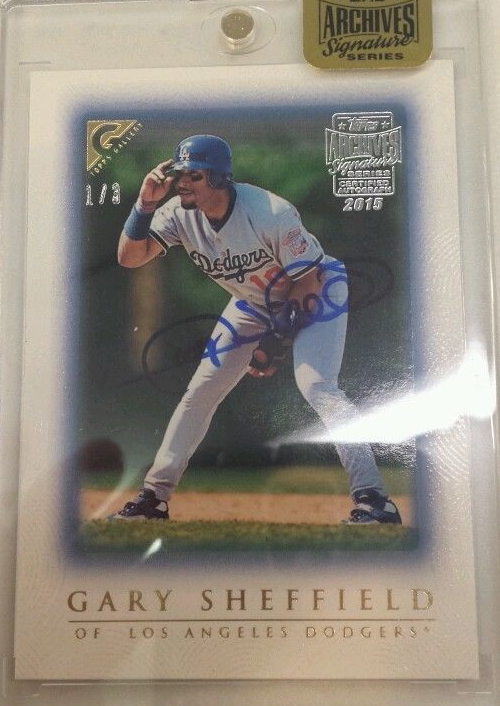 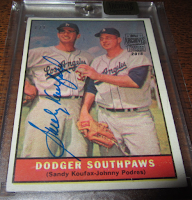 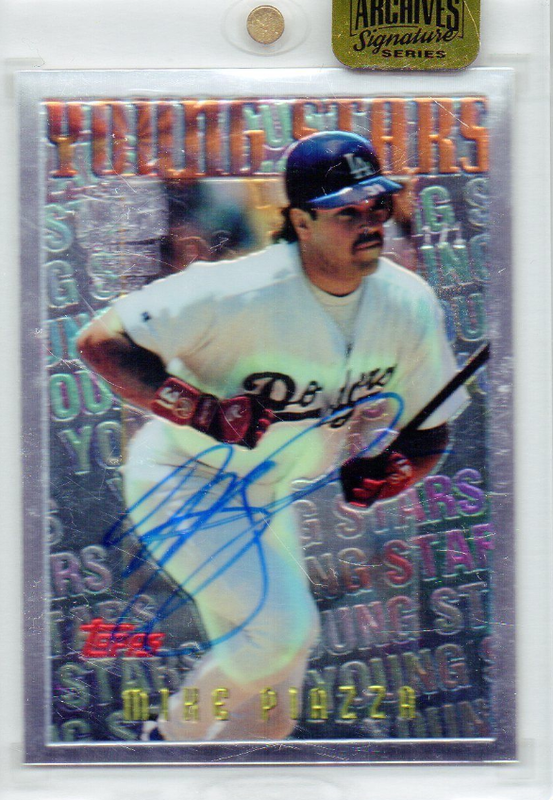 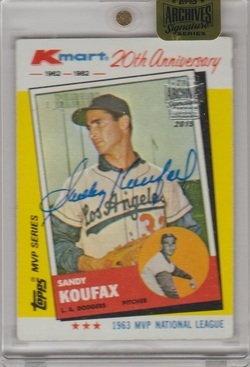 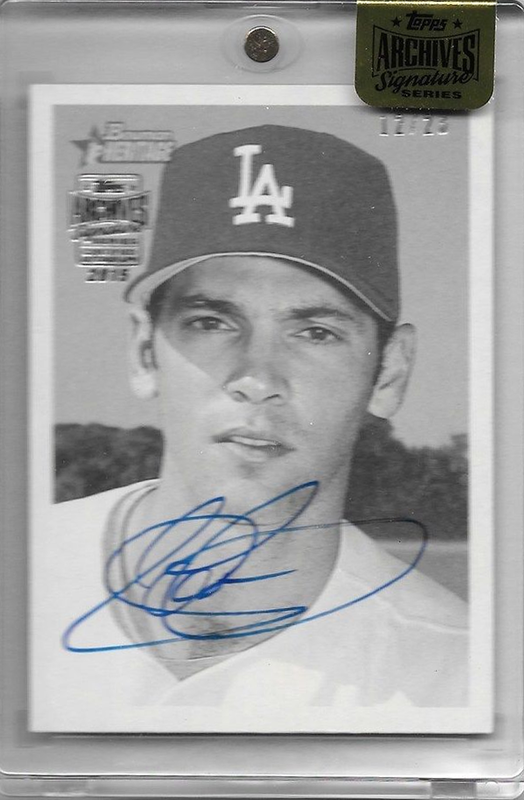 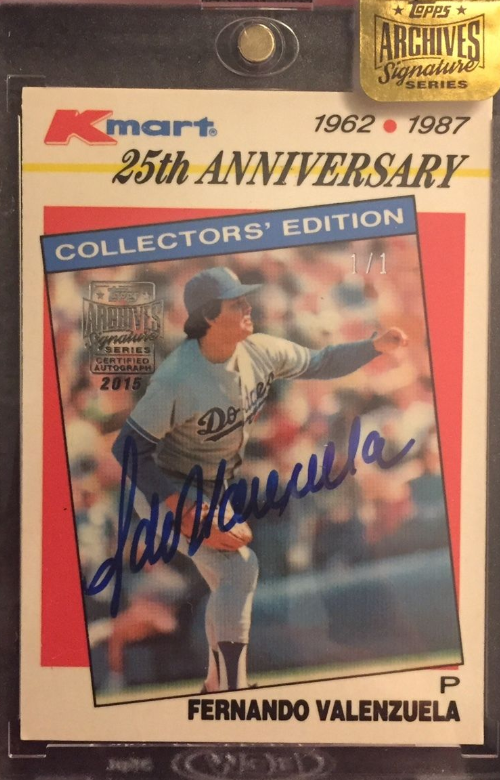 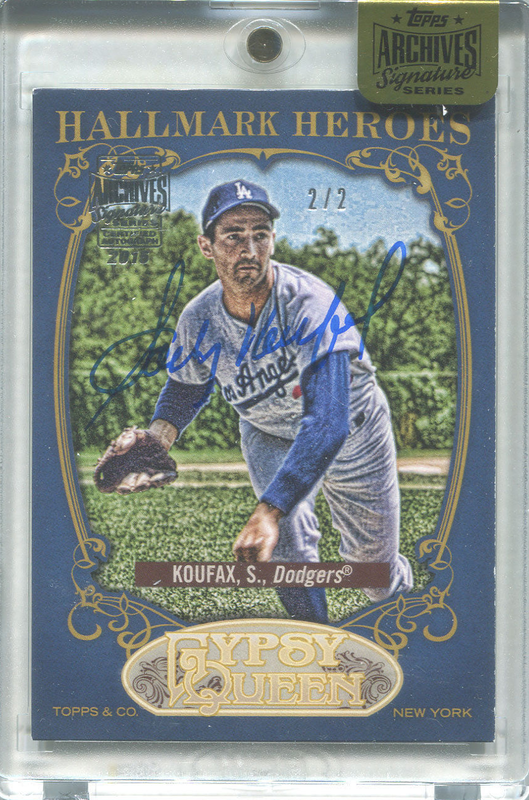 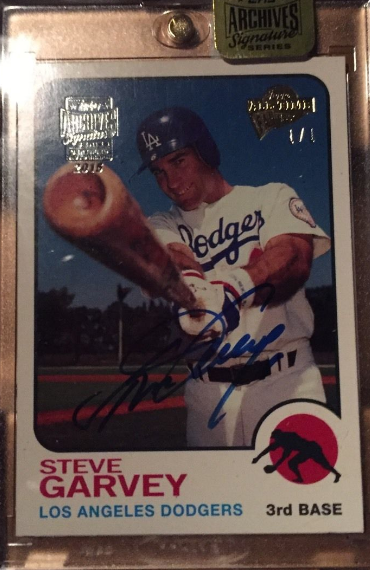 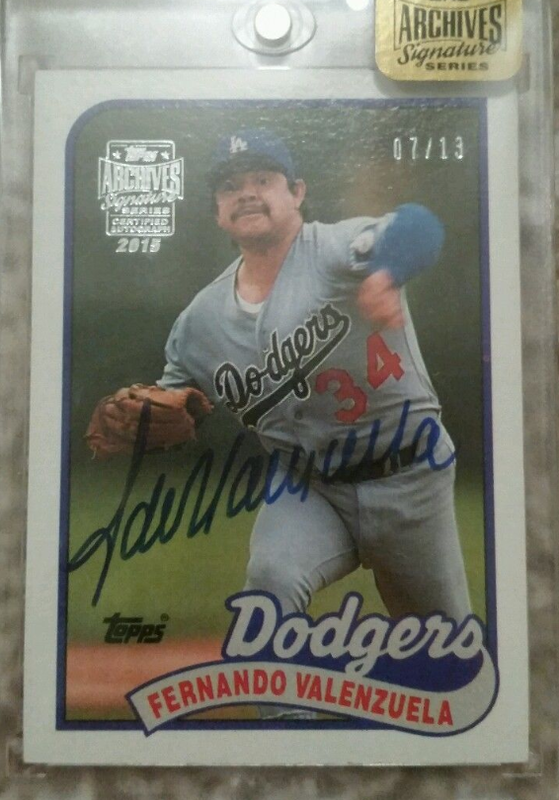 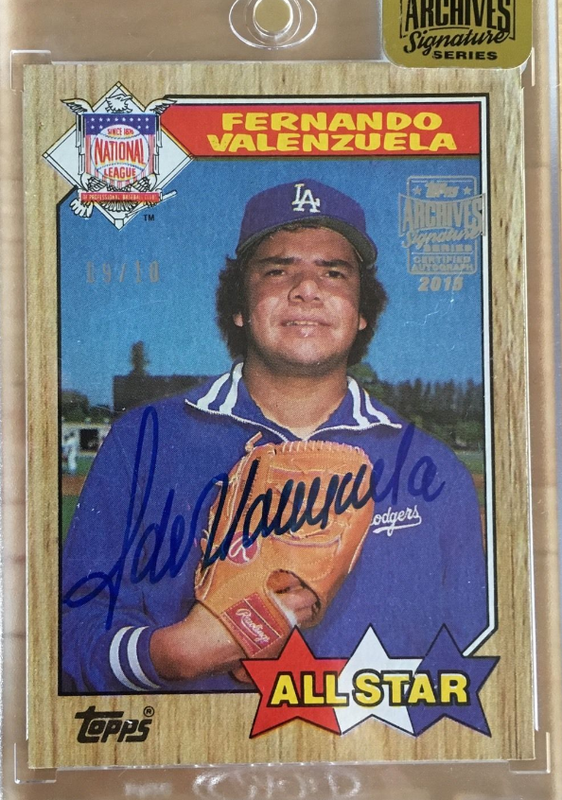 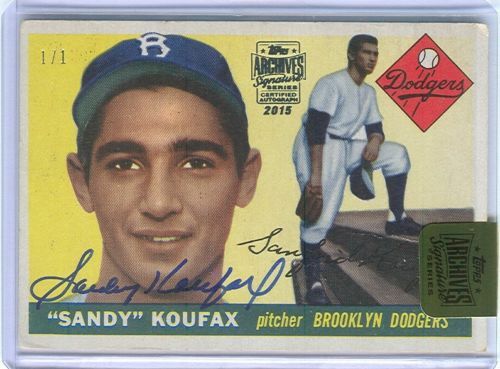 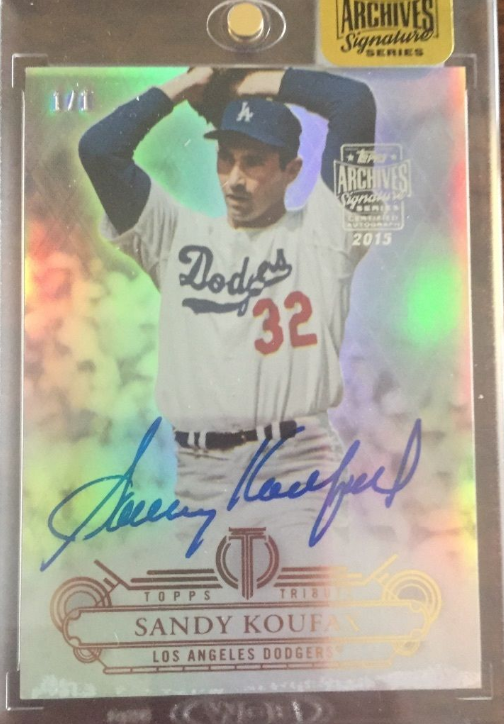 Since I've been clearly obsessed with tracking and cataloging all of the modern era Dodger cards in existence I decided to do my best with Topps newest product - 2015 Topps Archives Signature. 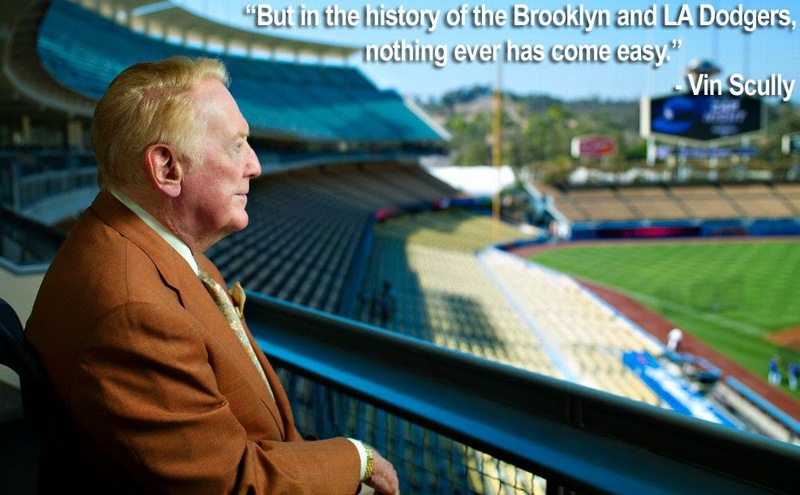 Daunting, I know. 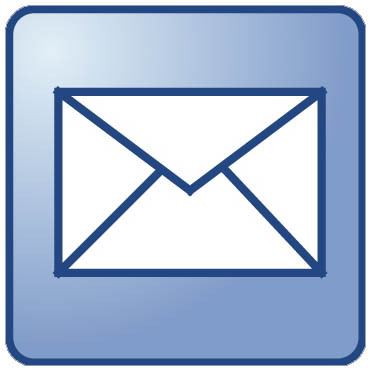 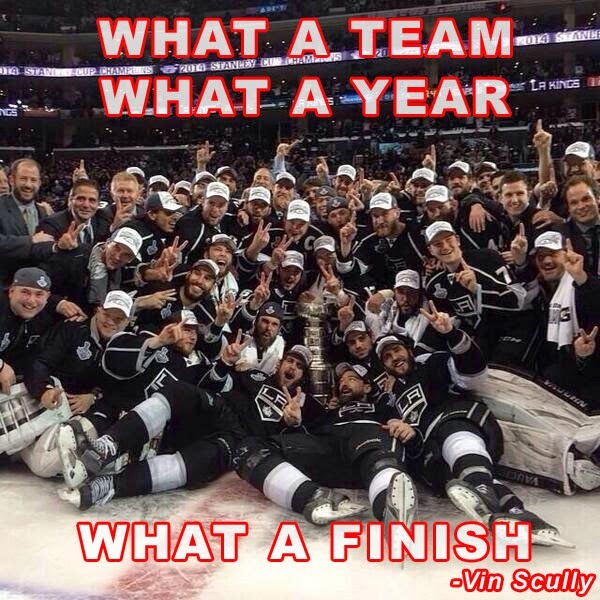 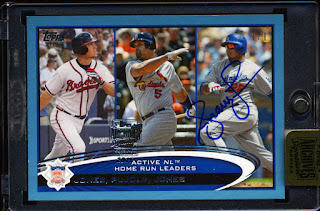 Go here for a checklist of players who signed. 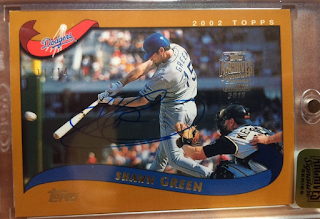 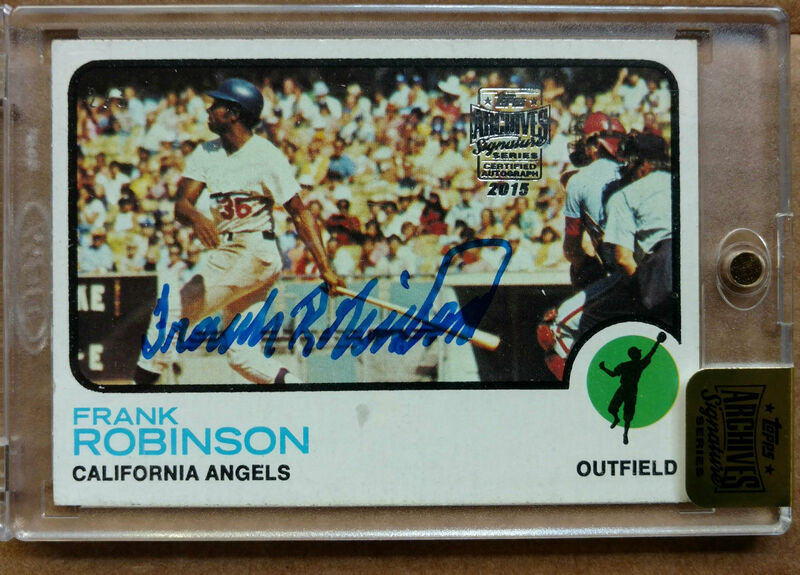 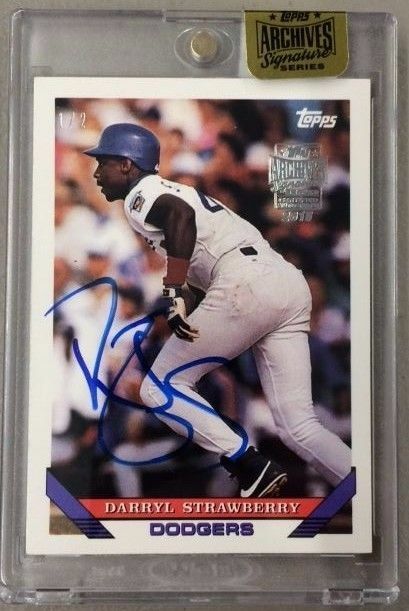 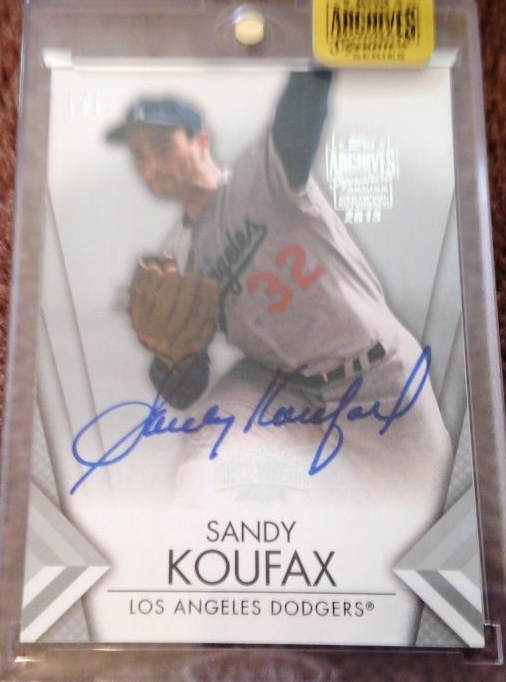 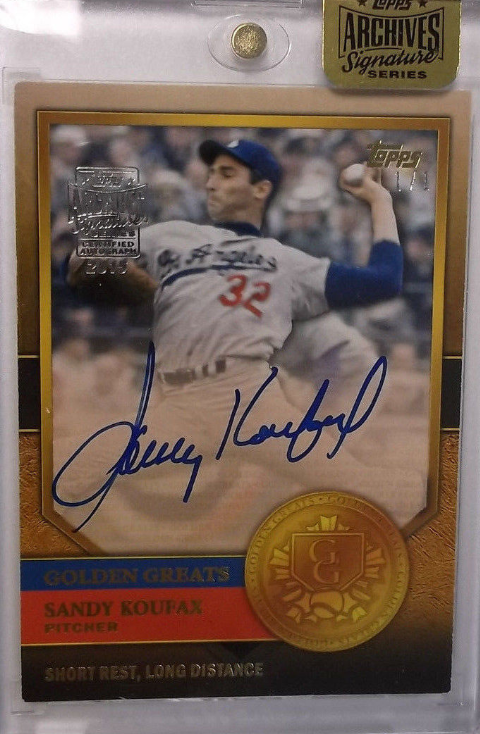 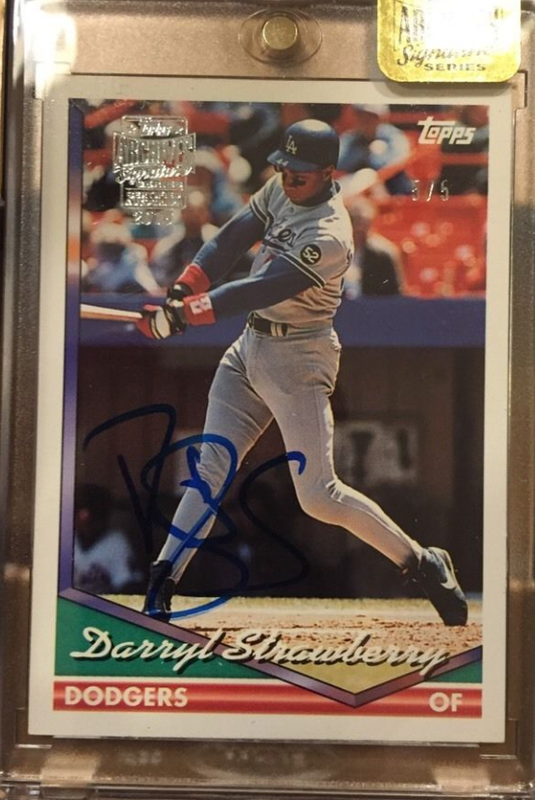 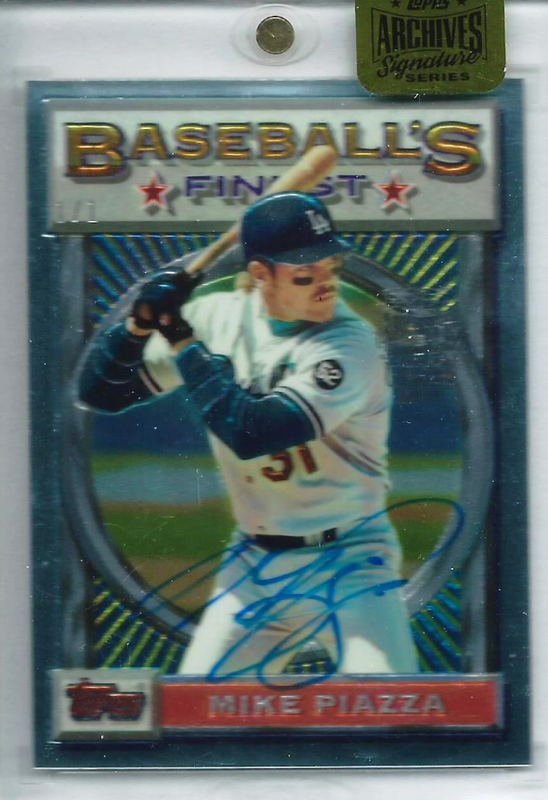 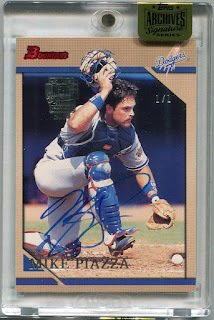 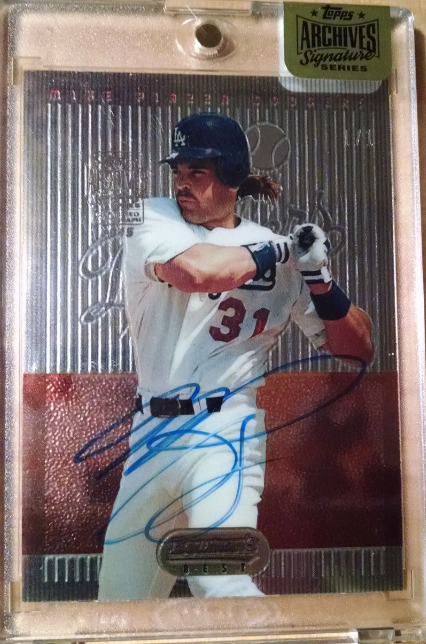 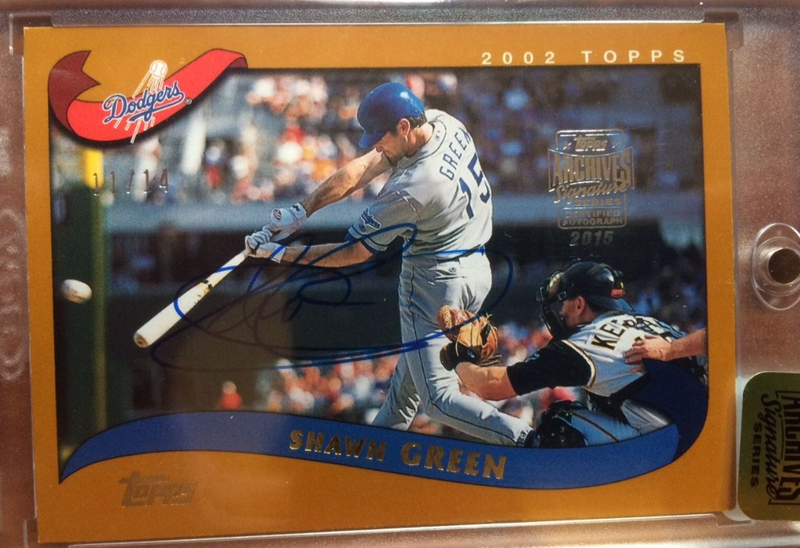 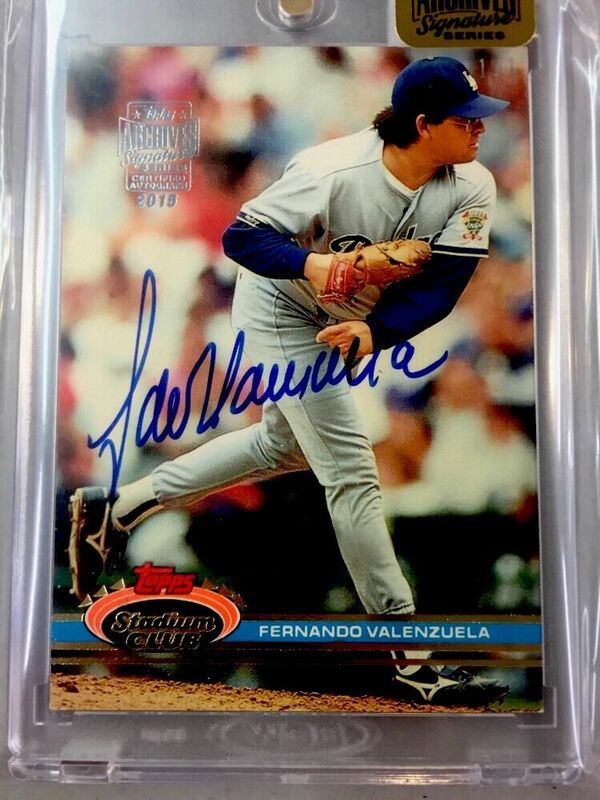 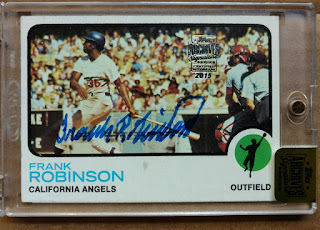 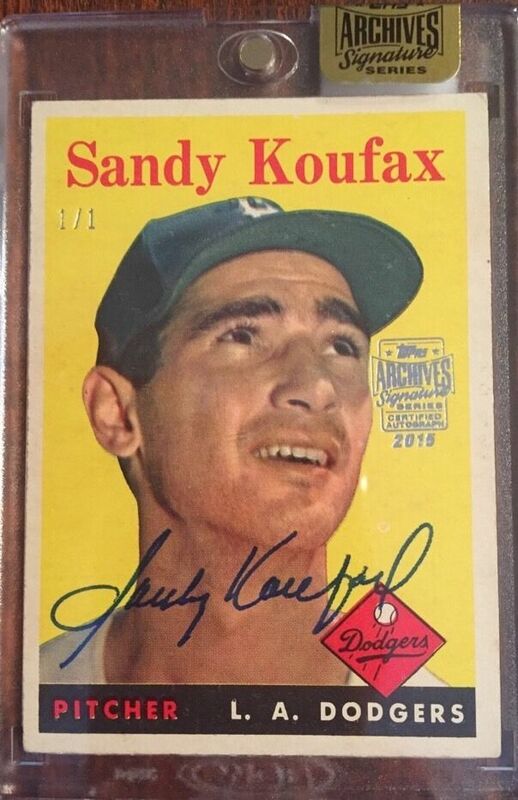 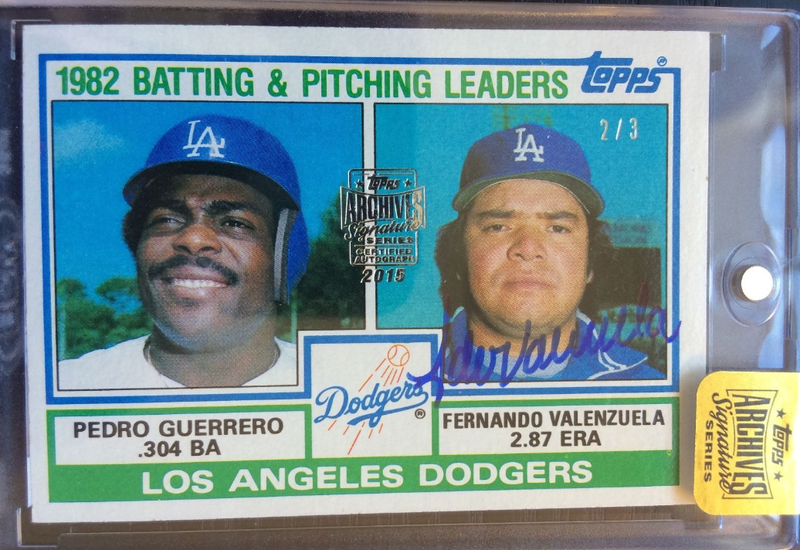 For those who don't know, this product includes only signed buyback cards. 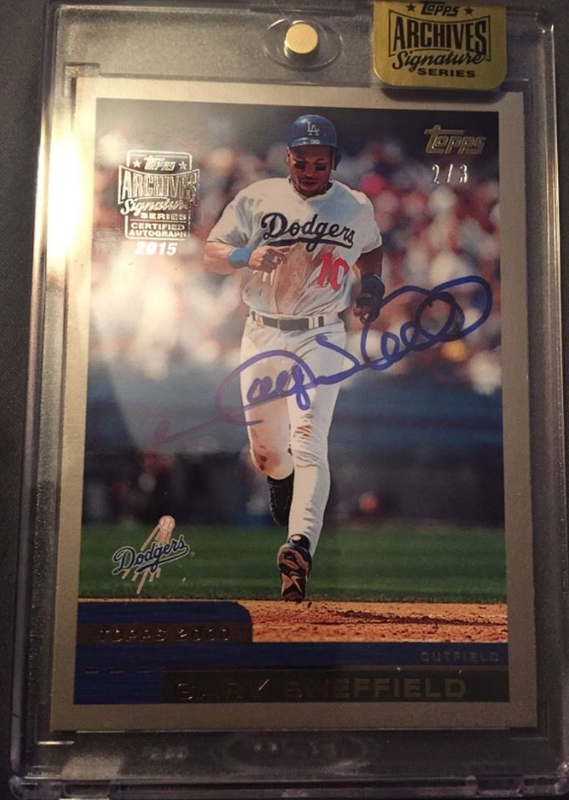 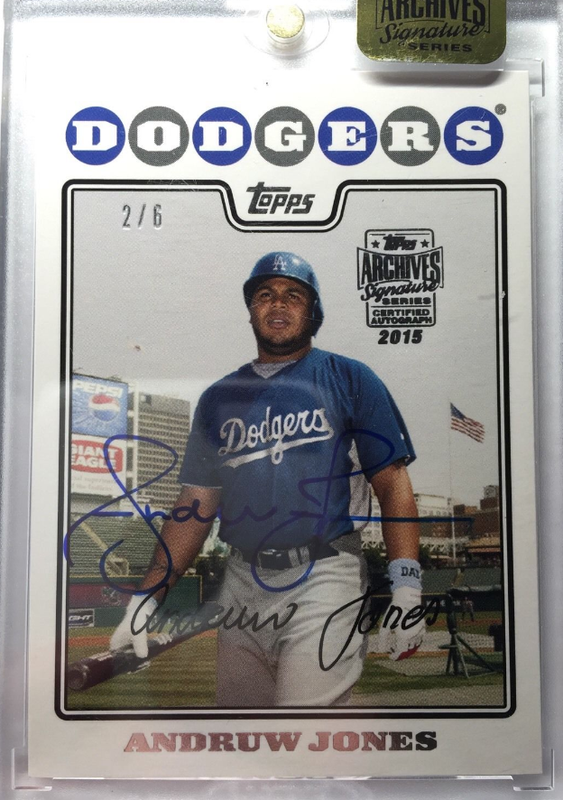 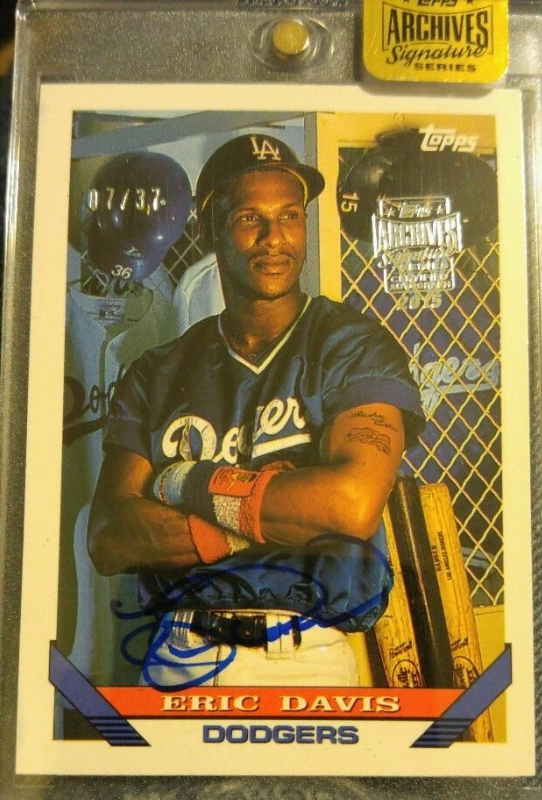 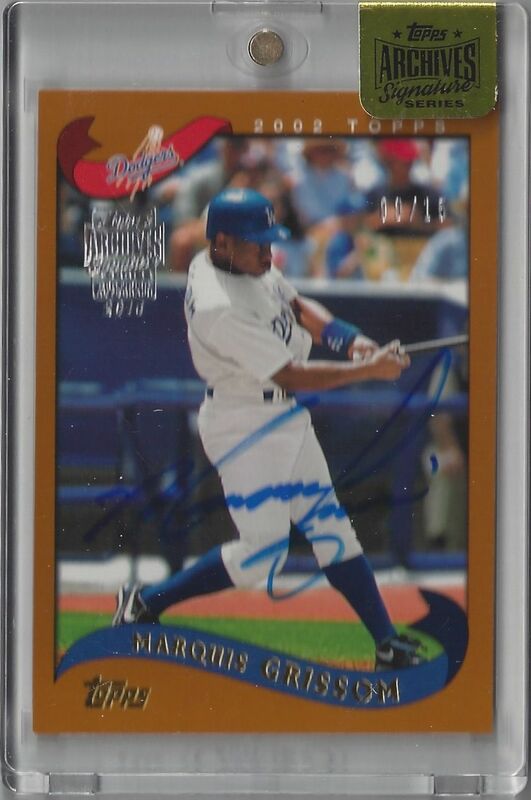 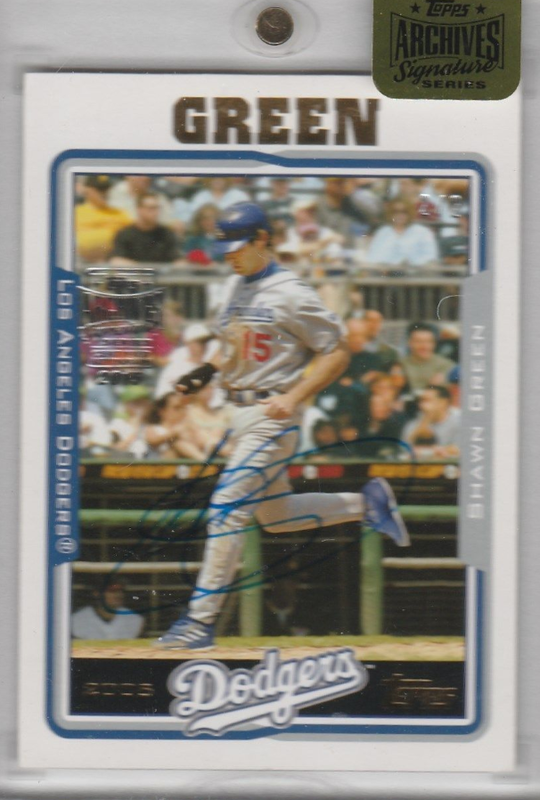 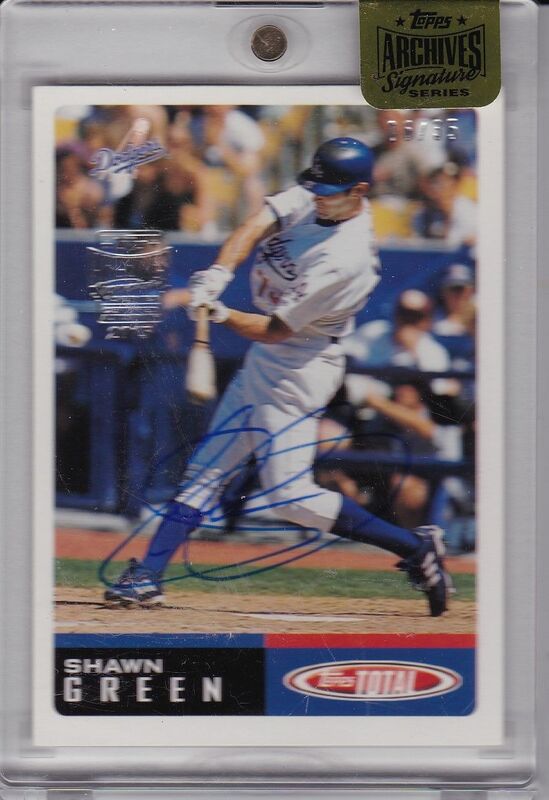 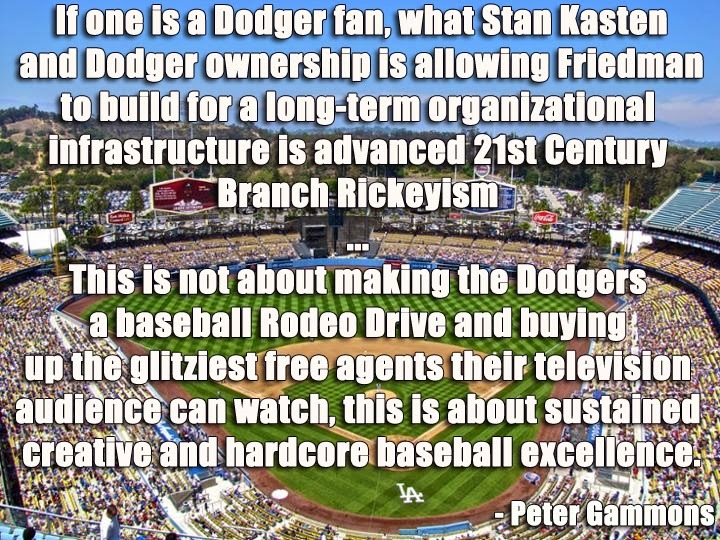 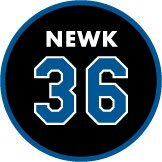 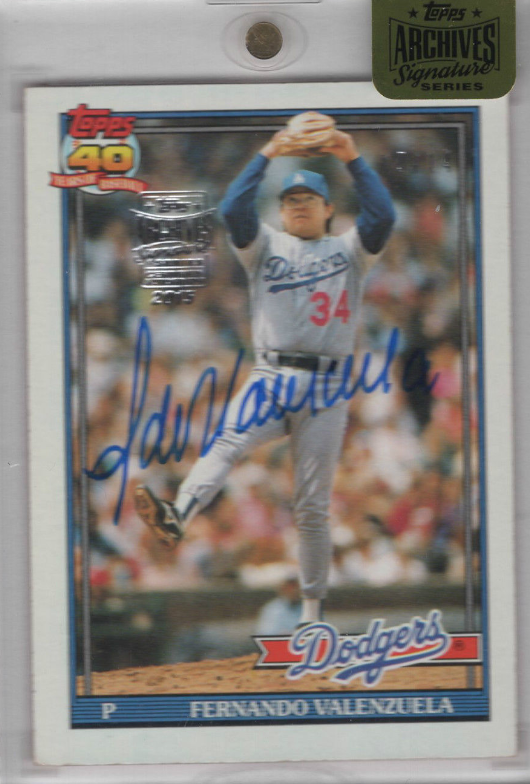 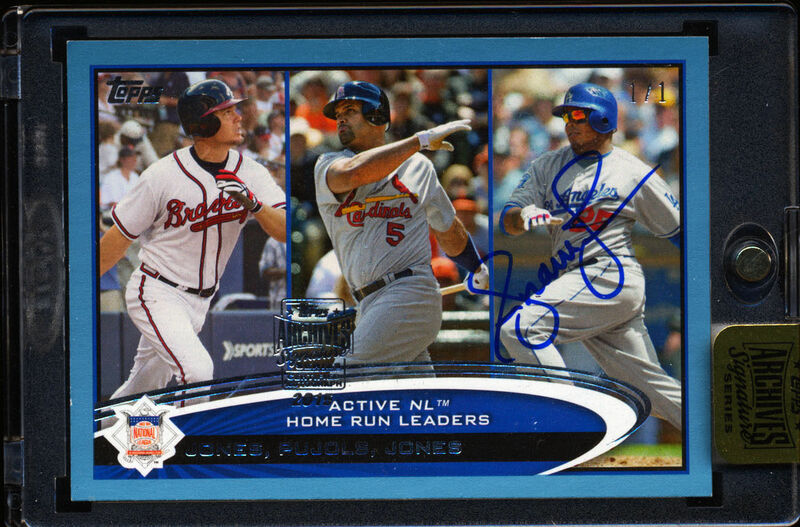 As you'll recall, last week I declared an Andruw Jones autograph Dodger card as this years worst (link here), and now you'll discover that there's at least another one to hate. 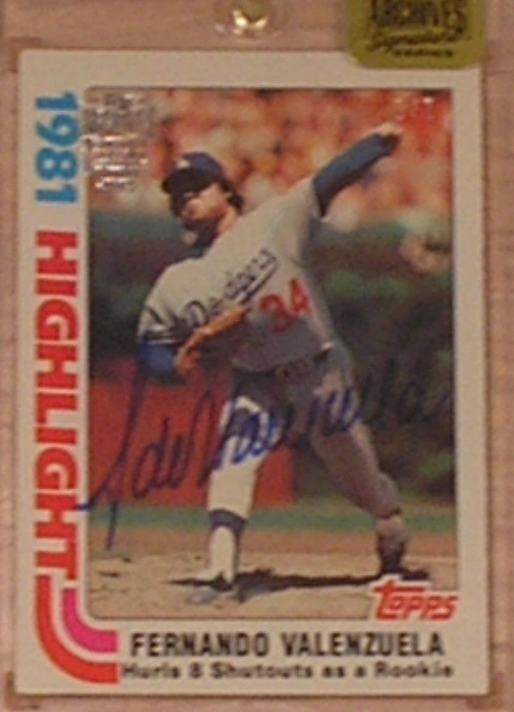 As for what to love, you should check out the handful of 1980's Topps created retail box sets that have been signed. 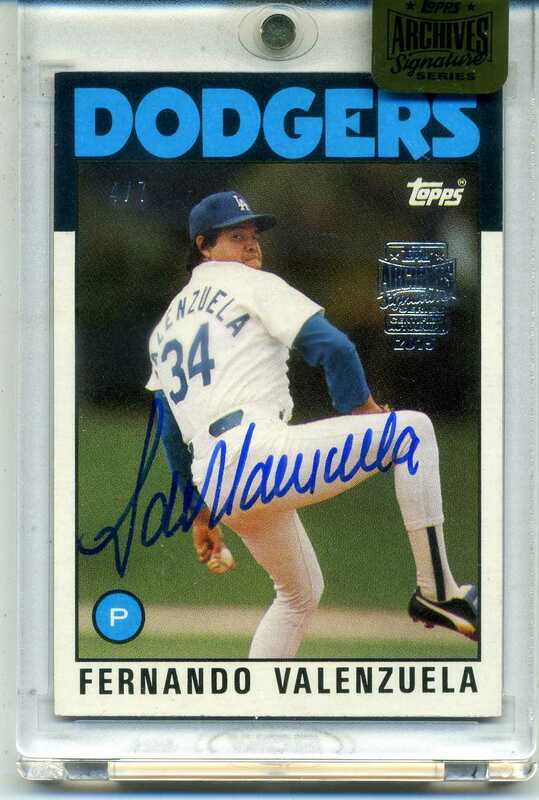 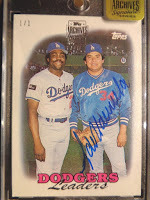 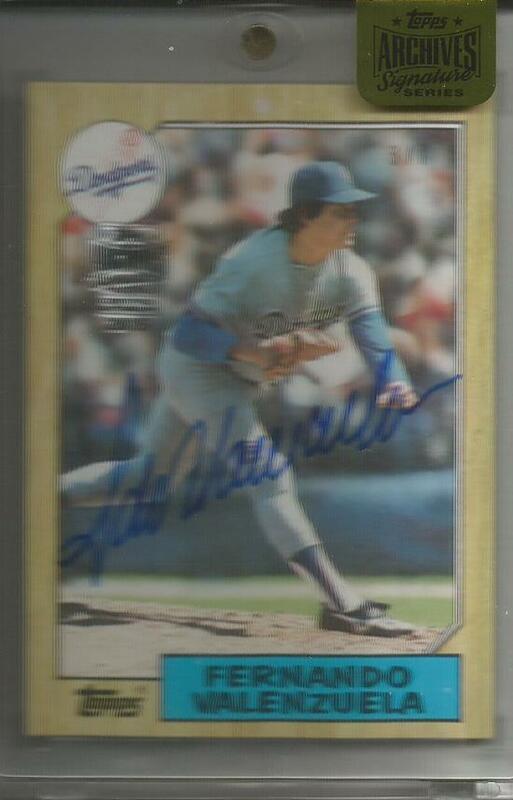 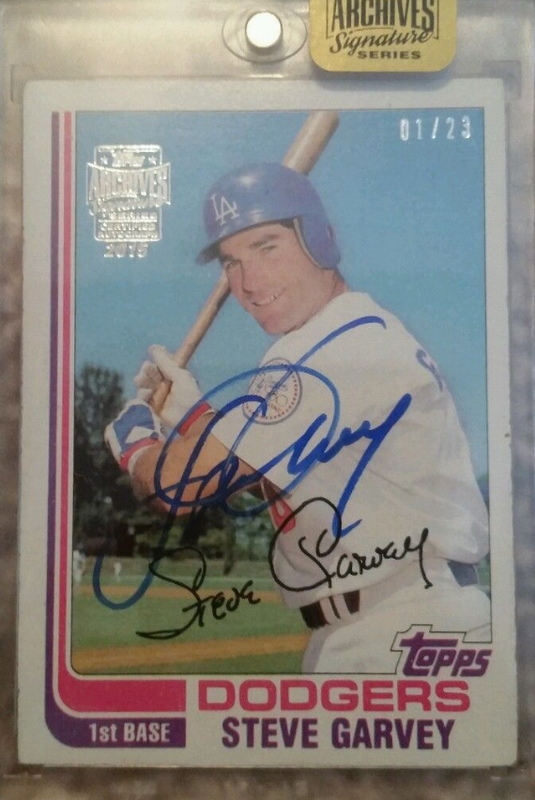 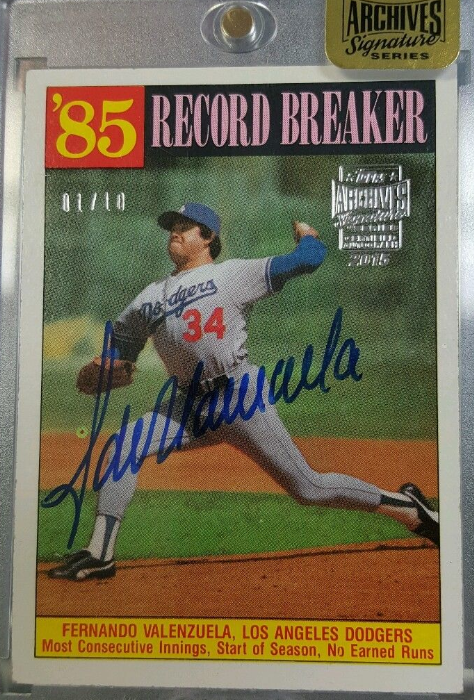 Both Steve Garvey and Fernando Valenzuela signed a handful of their 1987 K-Mart cards. 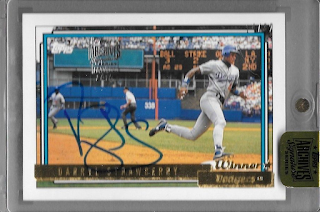 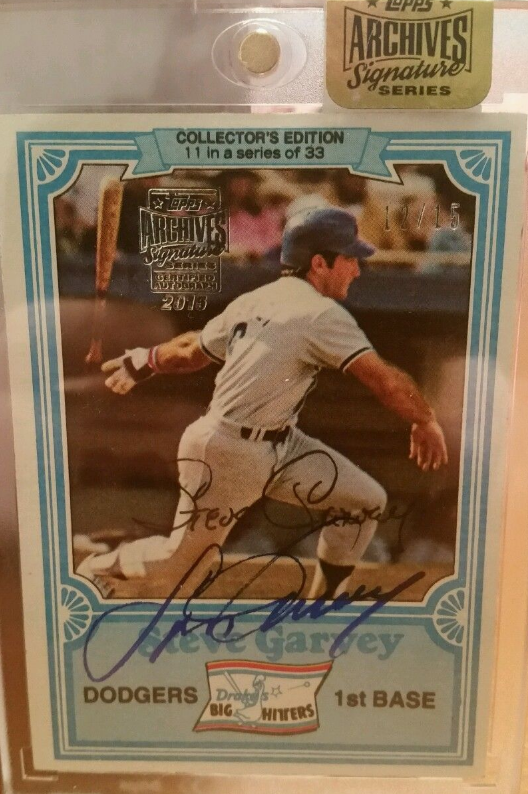 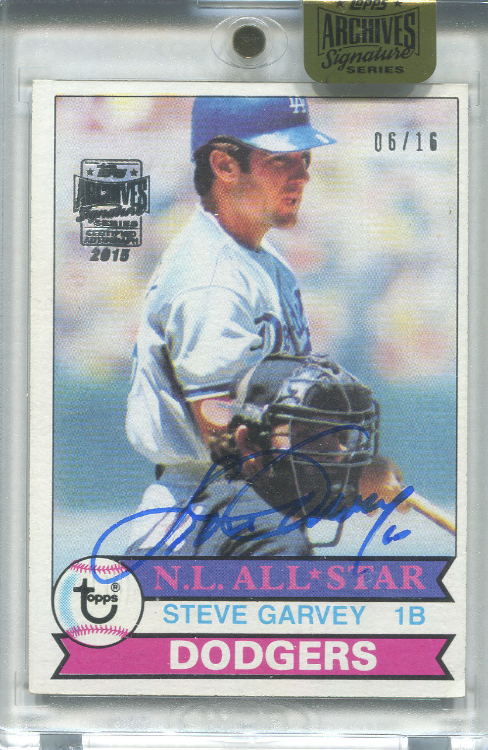 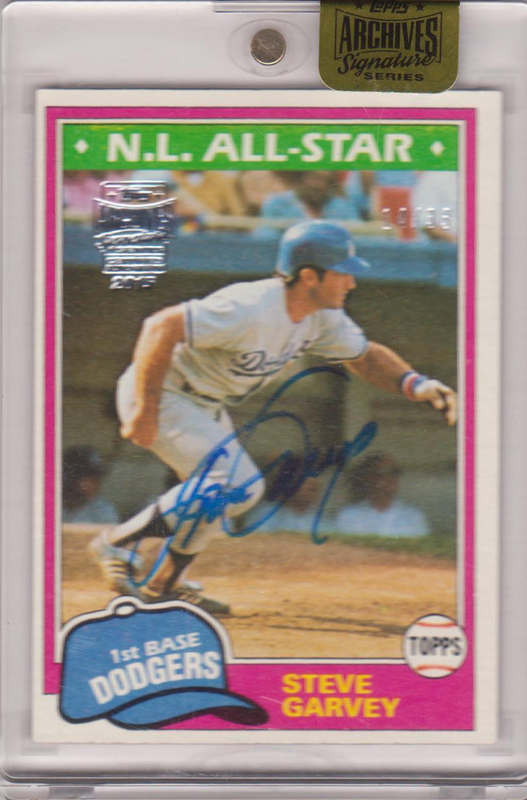 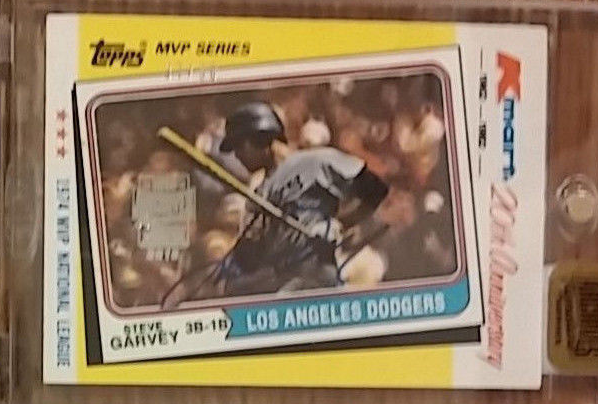 There is also a 1981 Drake's cakes card signed by Garvey - which is absolutely awesome! 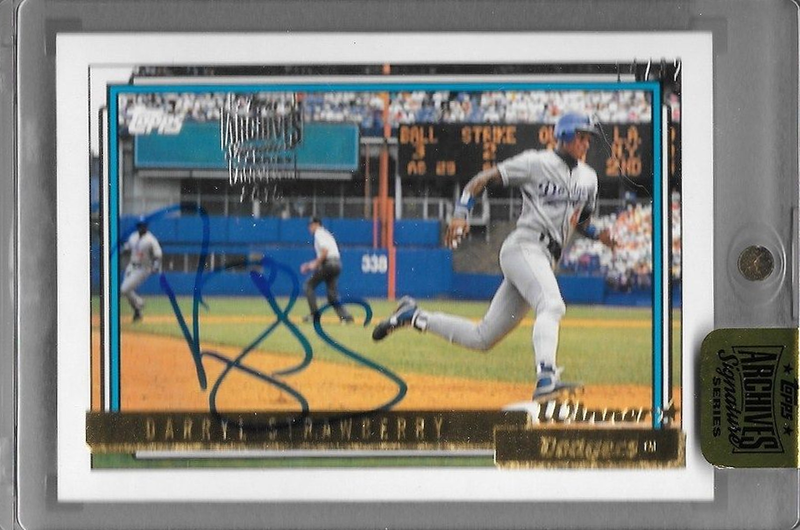 Drake's cards disappeared into the dustbin of history many moons ago, so it's nice that they make a little comeback here. 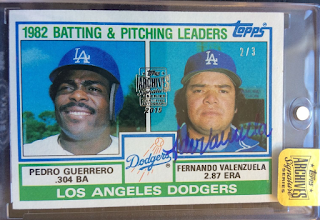 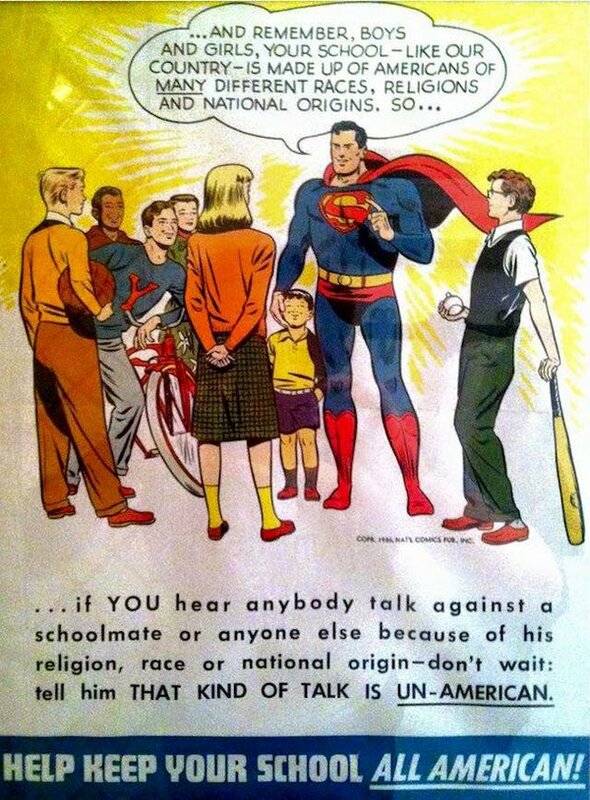 They were one of my favorites as a kid. 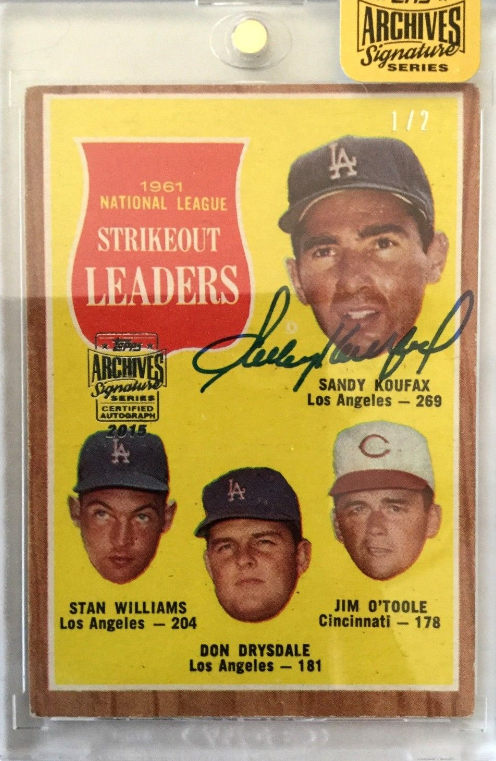 Also note that I included the 1973 Frank Robinson Topps card on this list since this issue clearly shows him in a poorly photoshopped Dodger uniform. 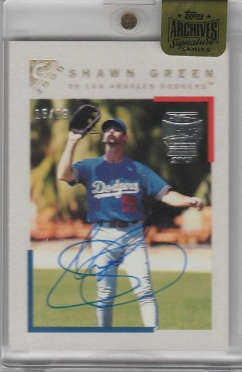 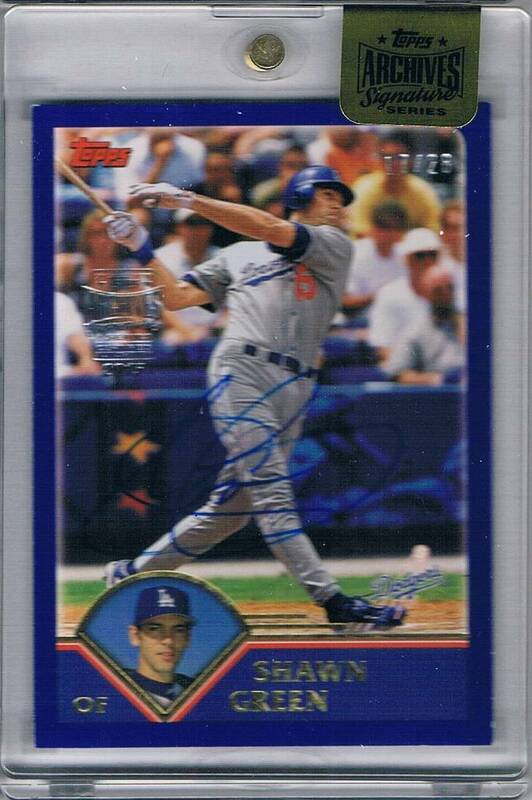 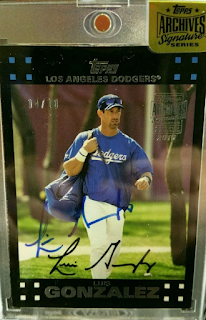 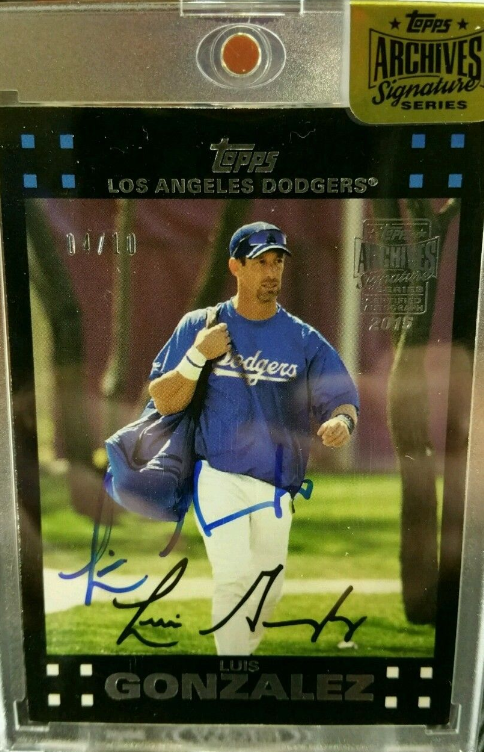 Both Nomar Garciaparra and Greg Maddux are available only as redemptions, so we don't yet know if they signed any Dodger cards for this product. 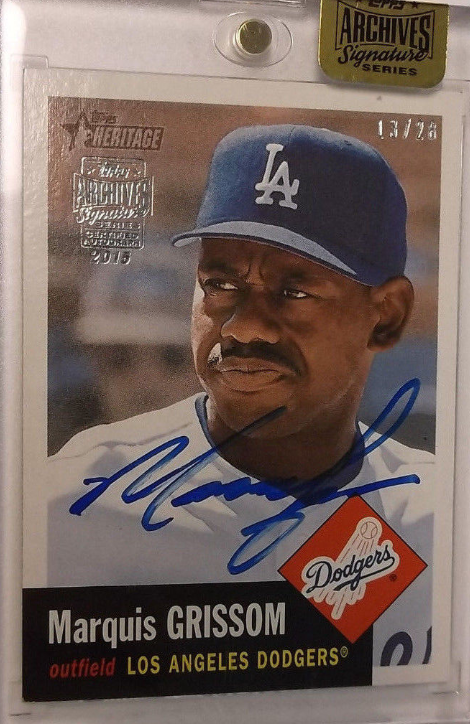 Also, Fred McGriff has signed some cards, but I have yet to see him in Blue. 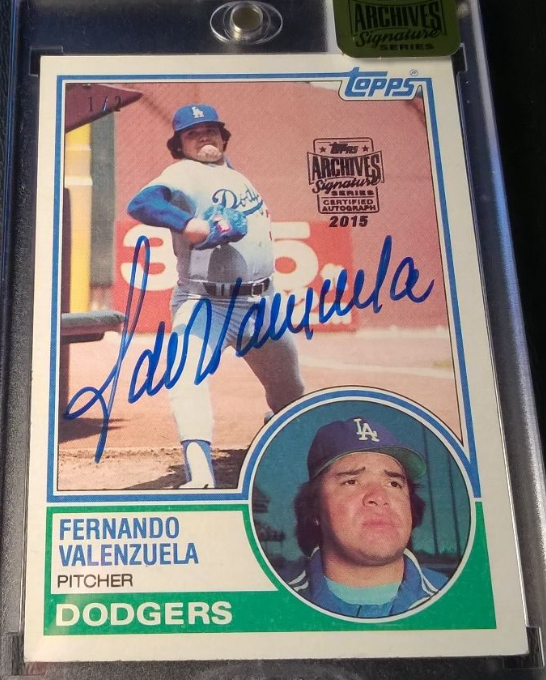 No doubt, this listing is far from complete. 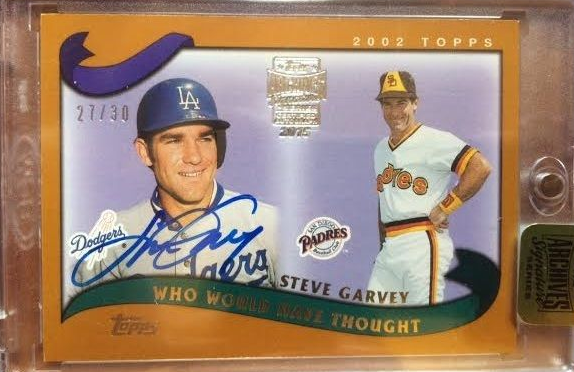 There are likely to be many "1 of 1's" and other scarcer issues out there yet to be discovered. 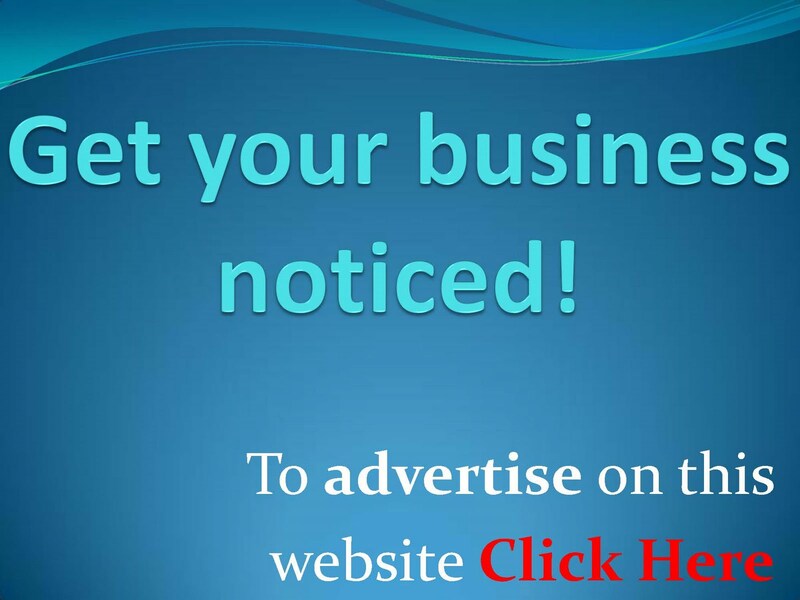 If you see something not on this list please let me know.